YOUR DAY, DONE YOUR WAY! 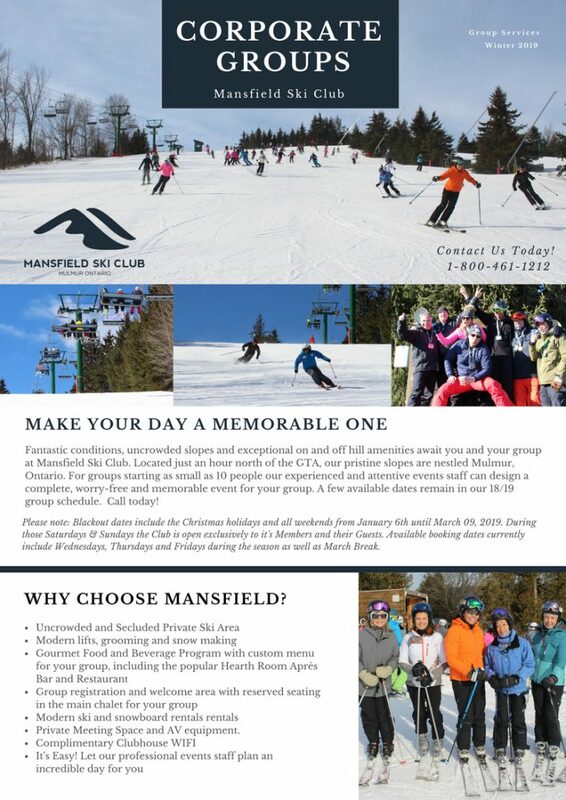 Mansfield can accommodate your social or corporate group both on and off the slopes. We have a full-service chalet with multiple rooms and hundreds of square feet to accommodate both small and grand scale events.